The Gem Collection by Diamond Sofa brings an abstract vibe to your living space. 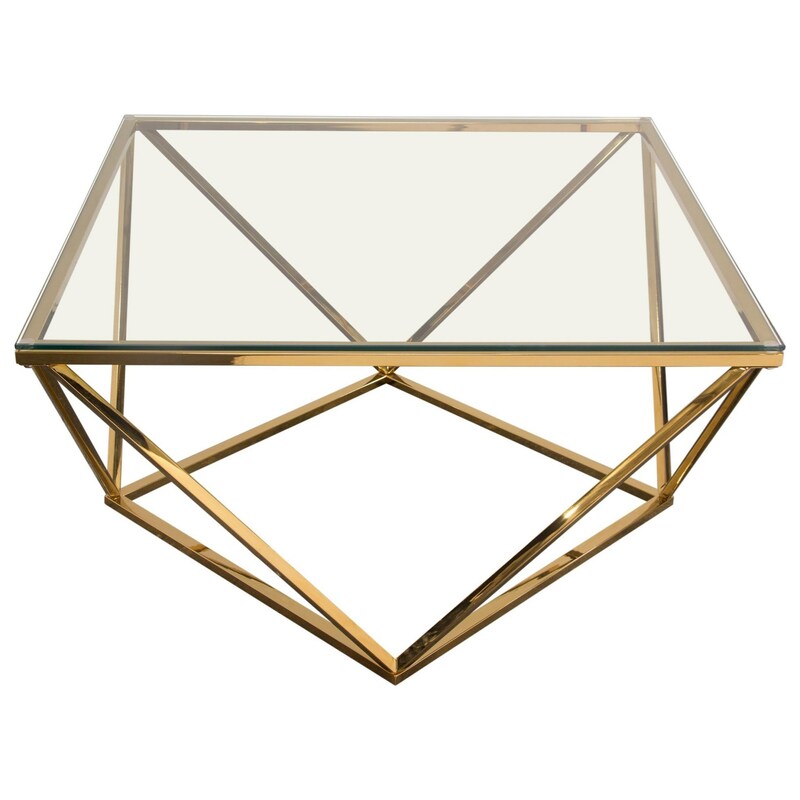 With its random geometric patterned metal base in polished gold finish topped with a clear, tempered glass top, the Gem Collection is sure to impress and elevate the design aesthetic of its surroundings. Gem Collection includes Cocktail Table & End Table. The Gem Cocktail Table by Diamond Sofa at Red Knot in the Oahu, Honolulu, Kapolei, Pearlridge, Salt Lake, Hawaii area. Product availability may vary. Contact us for the most current availability on this product. Browse other items in the Gem collection from Red Knot in the Oahu, Honolulu, Kapolei, Pearlridge, Salt Lake, Hawaii area.